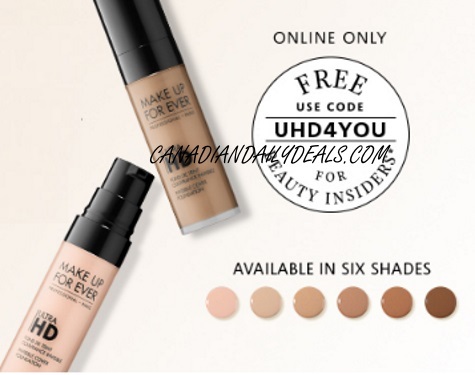 Sephora is offering a Free Mini of Make Up For Ever Ultra HD Invisible Cover foundation in your shade with any $25 online order! Enter the promo code UHD4YOU to get the free gift added to your order. Offer available for a limited time only, while quantities last. Samples are available in a variety of shades including R230, Y245, Y335, Y415, Y445 and Y505.